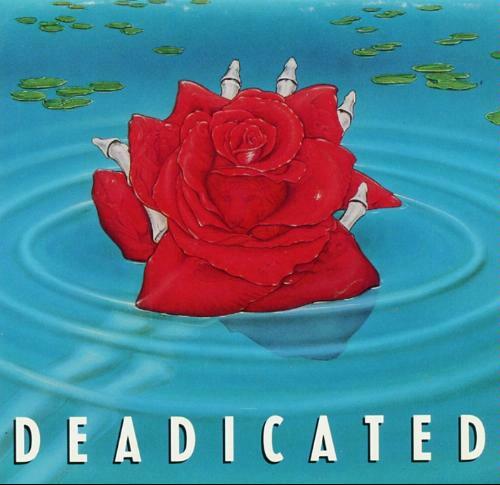 Deadicated, in general, is a great album if you ask me. I think the songs selected are top notch and all the artists did justice to them. That said, I do think that Ripple stands out from the crowd. The greatest contrast between the original song and the cover on this album is clearly Ripple. If you ask me the ability of a song to be completely reworked in a new context but retain the essence of the original is the sign of a strong song. There is plenty of that going on here. While the inclusion of Jane’s Addiction on this compilation may seem odd to some, the band’s drummer, Stephen Perkins, is a big-time Deadhead. He and Perry Ferrell even recorded a bit for the recent Move Me Brightly event that celebrated Jerry Garcia’s 70th birthday. A pulsating bassline is not what one expects from Ripple, but that’s just what Jane’s Addiction did and it works. Combine that with some distorted guitars and throbbing drums and this isn’t your parents’ Ripple. Swirling, perhaps even elegant vocals go toward preserving the intimacy and gentleness of the original, but this arrangement completely stands Ripple on its head. The outro of the song actually is a vamp on the main theme from The Other One. To say that this version of Ripple “rocks” would be an understatement. Tagged Dead Cover, Deadicated, Jane's Addiction. Bookmark the permalink. These guys seemed to have a real understanding of the Dead’s music as illustrated with the Other One ending and the brief Birdsong tease around the 4:13 mark. Just wanted to chime in and agree with what Joe Milan wrote in the Jimmy Buffet post, that the Indigo Girls and Elvis Costello (along with Jane’s Addiction) did a terrific job on this album. I’d like to add that I don’t know much of Lyle Lovett’s music, but his take on FOTD is just outstanding, right up there with the best on this album. Suzanne Vega’s songs are very good too, as well as Hornsby’s. And, as a big Los Lobos fan, I have to mention their very fun rendition of Bertha. It’s good on Deadicated but their live version is even better. If you haven’t seen them live, they play Bertha about every other night, often paired with Not Fade Away and it’s typically a big moment in their concerts. Mike, those are pretty much the highlights of the Deadicated album. Overall I really like it; an album I can keep going back to. And I haven’t seen Los Lobos live but I know they’ve played Bertha for a while. Don’t get out to many shows these days, but if I had the chance I’d definitely check out the Lobos!